The GTTN Secretariat joined the 24. CITES Plants Committee from 23-25 July 2018 to introduce the network and to discuss joint objectives and opportunities for collaboration. 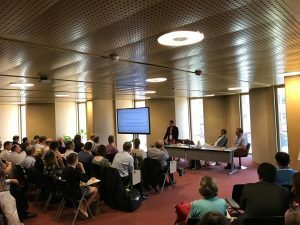 GTTN hosted a side event, offered input during the session of the CITES Working Group on wood identification, and organized a joint informal meeting between members of this working group and network members. T he side event took place on July 23 and informed a group a ca. 60 people about the potential GTTN contribution to identifying CITES-listed species. Furthermore, participants explored GTTN’s provision of capacity building to enhance the implementation of the Convention. Harisoa Ravaomanalina, CITES scientific authority for Madagascar and Head of the Plant Laboratory in the Mention of Plant Biology and Ecology, University of Antananarivo, introduced Madagascar’s vision on timber identification and the current state of the art in the field of wood identification in the African country. The discussions following the presentations highlighted the need for standardization and enhanced international exchange of knowledge, as well as for capacity building. 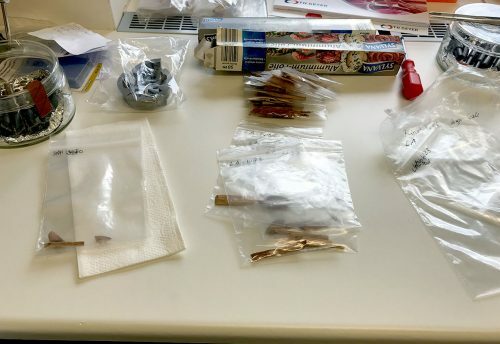 In addition, participants stated that effective wood identification training methods, tools and protocols for enforcement and customs officers are still rare. During the meeting of the CITES Working Group on wood identification even more perspectives for a fruitful collaboration were identified. The CITES Working Group agreed on the necessity to determine gaps and counterparts in various tools and knowledge sources for timber identification, such as existing field identification guidelines and keys, and on their availability and usefulness. 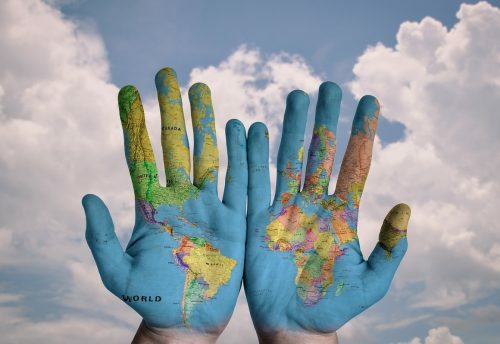 GTTN’s Working Group on standardization is aiming at the same target with its activities in the field of advocacy and capacity building as well its collaboration with the International Association of Wood Anatomists (IAWA), who developed a map for available wood collections worldwide. The members of the CITES Working Group on wood identification also stated that the Plants Committee should – in collaboration with relevant stakeholders and building on information on existing initiatives – assist parties to identify existing laboratory services for the identification of timber and wood products, and to strengthen screening and forensic capacity to identify CITES-listed tree species in trade. GTTN contributes to this effort by developing a Service Providers Directory and promised to update the CITES tree species programme on further developments. Moreover, the Working Group decided to strengthen the focus on identifying and prioritizing the species of rosewoods and palisanders that would most benefit from the development of timber identification tools, protocols and materials. This corresponds with GTTN’s current effort to update its species prioritization list. Even when CITES Parties have their own lists of target species, it would be useful to the network to obtain this information. Finally, the Secretariat will work on making the currently available guidance on wood identification accessible to Parties on a dedicated page of the CITES website. 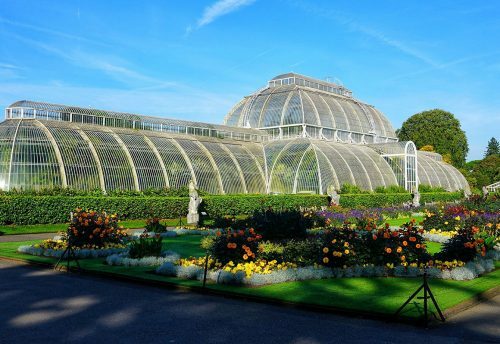 The WG members welcomed this initiative, as well as GTTN’s proposal to eventually add referral links between the main websites, but also to specific content to raise awareness of each other’s activities. Likewise, the CITES WG group could benefit from GTTN’s communication activities, e.g. the online document library offering broad information on current activities in the field of timber tracking and developments of tools as well as scientific expertise and relevant projects. Since the expansion of the library relies on members inputs, the GTTN secretariat encouraged CITES to share available information. The fruitful meetings were concluded by an informal session between members of the Working Group on wood identification and GTTN. The great potential for cooperation with the network became obvious and is now recognized. 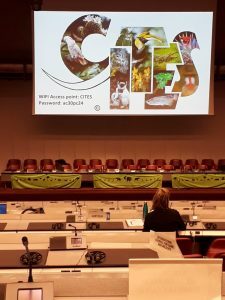 The GTTN secretariat hopes that this will encourage CITES parties, while having expectations towards GTTN, to support the implementation of the network’s tasks, i.e. by supporting local scientists to connect to GTTN working groups, etc.